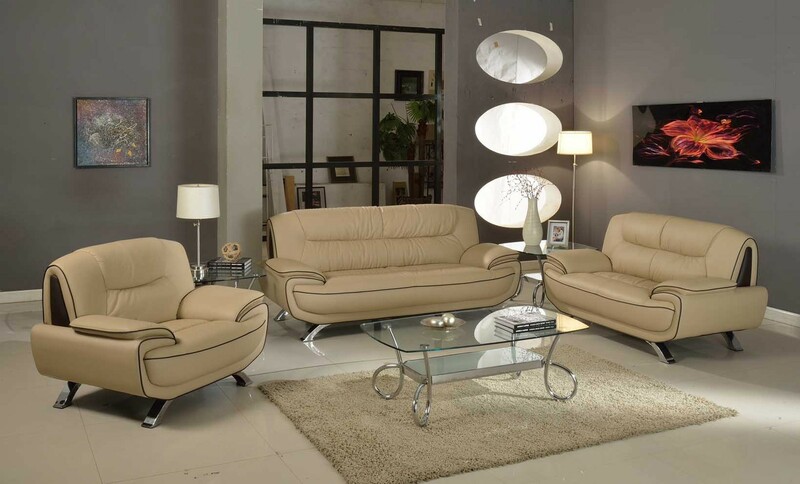 405 beige leather living room set accented by dark brown inserts on the sides and same color lining. 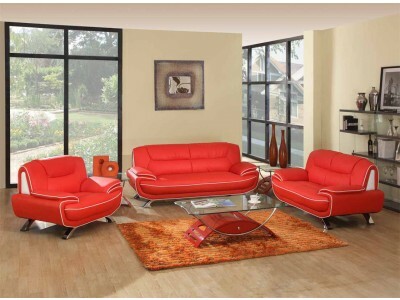 This unique collection includes comfortable medium firm level sofa, loveseat and chair. Chrome finish steel legs on every piece. Can be purchased separately or in any combination. Available in black, red, beige, grey and brown finish.